It was a disappointing night on Wednesday evening for on loan Bournemouth centre-half as he found himself sent off for two (debatable) yellow card offences to win his first Aston Villa red card. The 26-year-old has quickly become a fan favourite for his on pitch efforts and attitude, and his interaction with the fans on social media, and surely the vast majority of fans are hoping we can turn his matching clause deal into a permanent arrangement at the end of the current campaign given how well he suits head coach Dean Smith’s style of play. Wednesday was disappointing though, but again instead of hiding, he fronted up for the fans to support his colleague’s efforts on the night. 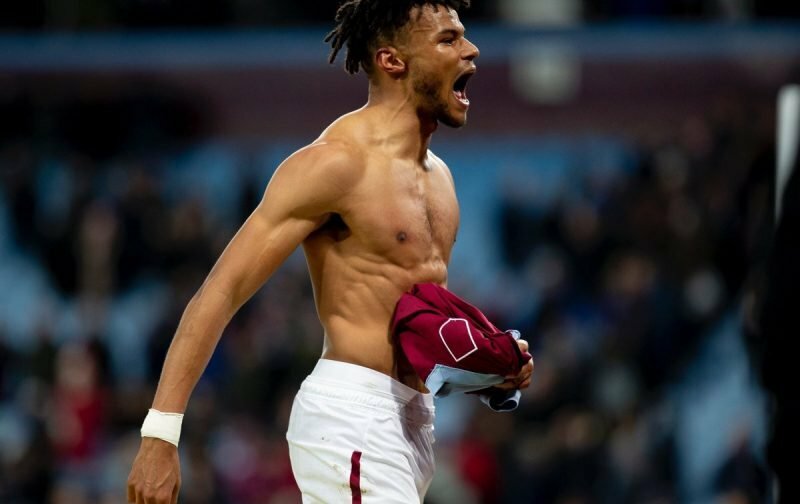 With the ridiculous handball decisions being given by the idiots in charge in recent weeks, Mings is right, but he’s not the only player who’s going to have to learn and fans weren’t going to hold it against him. ~stay with Deano & help rebuild our Team back to Glory Days… You probably see it, more than we do as supporters, but this Club is back on the way up .. SO @OfficialTM_3 ??? ?JOIN US ON THIS EXCITING ADVENTURE, BACK TO PREM & EUROPE???????? Sign in the summer ???? – you’ll be a villa legend and fans favourite!! Just sign on the dotted line at the end of the season and you will then enter Villa folklore! It's a good club to be in. Promotion, plus signing = redemption. Head up, different gravy since you joined.